The Master of Business Leadership program has been described as a very elegant teaching and coaching system that works. 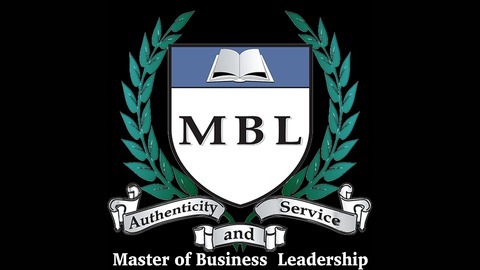 The MBL program’s unique methodology examines and helps us to understand the root cause problems underlying the challenges executives and their organizations are facing in today’s rapidly changing environment. It then provides a proven solution focusing on the development of authentic, emotionally intelligent individuals and leadership cultures. This powerful curriculum is capable of solving increasingly challenging problems while producing increasingly better results. We need to shed the walls of resistance, judgment and attachment to outcome that have been built up over time which separates us from our authentic selves. The program begins with an examination of why change is so difficult. An emotional connection to our desired results is then created. This provides the motivation that is essential to the development of new habits and behaviors. MBL habit stacking and micro skills provide the tools and insights needed to obtain our desired results. This leads into a discussion about why coaching matters. There is a fundamental difference between being a coach and being a manager. A manager provides direction to the team members whereas a coach serves is a guide enabling the individuals to move through the challenges they experience on the way of achieving their desired results. Dedicated daily practice is necessary to turn thoughts into actions and results. The gradual process of becoming less resistive, judgmental and attached to outcome is the key to mastery. A company is a team of individuals that need coaching to achieve their objectives. Coaching that develops authenticity and emotional intelligence is able to reduce the drama, chaos and conflict that change and innovation invariably creates within individuals and organizations. A coach is able to sort out the challenges that occur as a natural result of our biological and sociological resistance to change. For example, using the habits and micro skills of authentic listening and communications enables team members to lower their walls. This creates a safer, more engaged environment for individuals to take risks on the way to achieving better results. Coaching focuses on continual improvement on the journey toward the Vision of the desired result while being mindfully present in each moment. This is how authentic emotionally intelligent leaders and organizational cultures are developed. Everyone needs a coach. The gradual mastery of our authentic emotionally intelligent leadership inspires trust and higher levels of engagement. 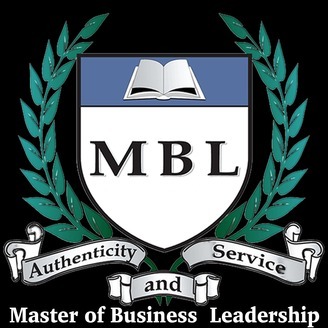 The MBL program is an experiential process focused on taking correct action and the results those actions produce. Organizational change begins with individual change. Over the past two decades the Master of Business Leadership process has provided a proven methodology to achieve both of these outcomes. An overview of the MBL program is provided below.